South Norwood has been awarded over £1m from the Mayor of London's Good Growth Fund. 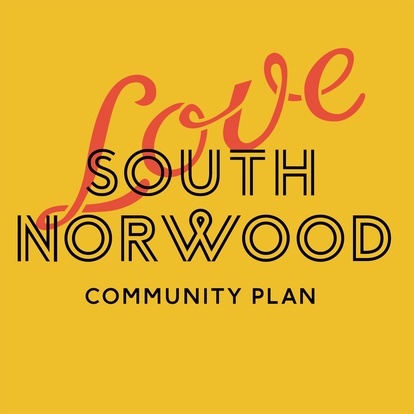 Over Summer and Autumn 2018, we worked with We Love SE25 and Croydon Council to develop the Community Plan in discussion with the people of South Norwood. 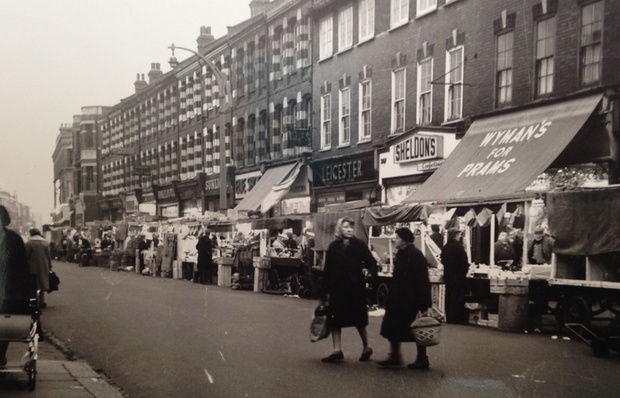 We have been appointed by Hammersmith & Fulham Council to support the community-led redesign of North End Road in Fulham, one of London's historic markets. The Library at Kenton, built in 1939 by Curtis and Burchett for Middlesex County Council, is open on Saturday 22nd September for Open House London. 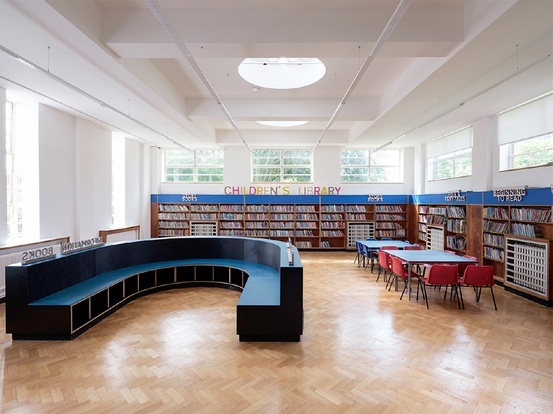 Our refurbishment for Harrow Libraries reveals the original public rooms and adds new curved bookshelves to make spaces to sit, work, and read. 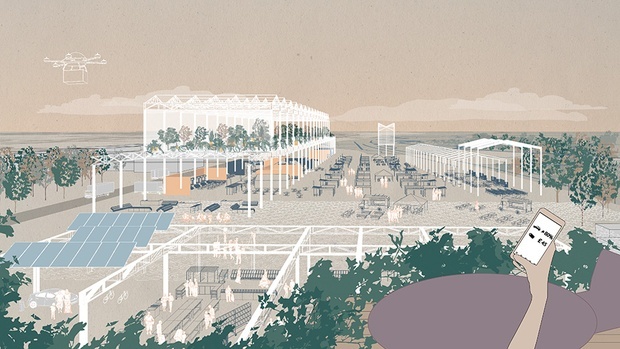 Our proposal for a zero-carbon local shopping centre has been shortlisted for the Crown Estate's Future Retail Destinations competition. 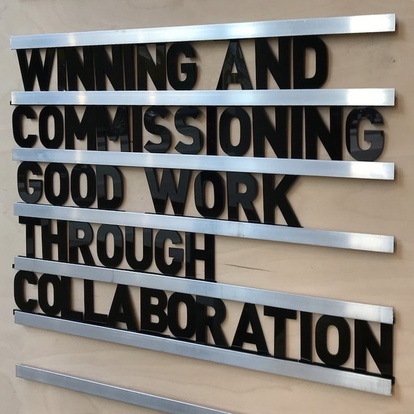 Build Studios are preparing for their ‘Winning and Commissioning Good Work through Collaboration’ event this evening - it's good to see the analogue sign board in use. Contact them via Twitter if you'd like a last-minute ticket. We have submitted a planning application to adapt and extend Longfield Hall in Camberwell. The Hall is a venue for theatre and dance and accommodates a nursery, several churches, and a dance school. It is part of the Minet Estate in Camberwell, which provided housing for all social classes and incorporated a large number of public buildings around Myatt’s Field’s Park. In the 1970s it was home to the Dark & Light Theatre Company, the first publicly funded Black theatre in the UK. We are delighted to have been appointed to the GLA’s Architecture and Urbanism Panel to support local authorities with Engagement, Local Regeneration, and Design Advice from now until 2022. The ADUP panel of approved consultants was selected from over 1,100 entries and is part of the Mayor’s Good Growth by Design programme. 198 Contemporary Arts & Learning supports artists, curators, and young people from BAMER communities. 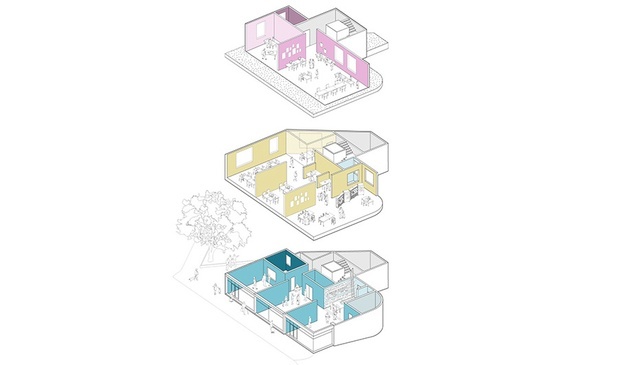 Our project for their new art gallery, education and enterprise space in Herne Hill has been awarded £475,000 from the Mayor's Good Growth Fund. 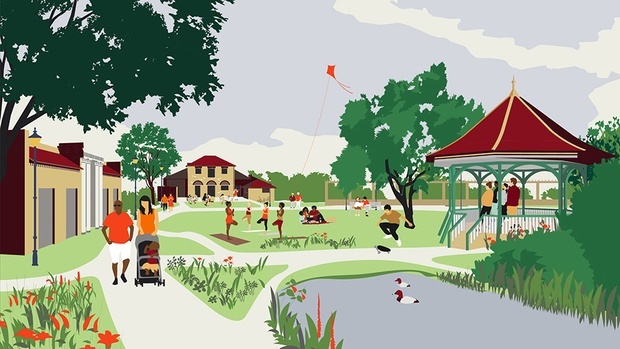 We are working on a feasibility study for the Friends of Ruskin Park, a charity working with Lambeth Council to preserve, protect and improve this historic South London park. Support their Crowdfunder to re-open the paddling pool here. 55 East, a community enterprise hub on East Street Market, opened at the end of 2017 after a successful crowdfunding campaign by Hatch. We designed the new shopfronts and supported the fit-out of the three former retail units owned by Peabody. Our new freestanding workspace pavilion in Evelina Children’s Hospital, part of the St. Thomas’ Hospital campus, is now in use and has been published in The Architects' Journal and Architecture Today. 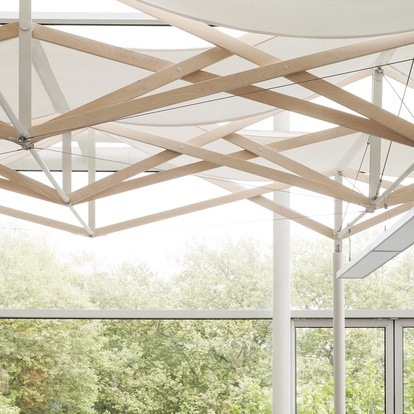 A lightweight canopy structure provides shading, lighting, and privacy for medical staff working within the main atrium space, looking over Archbishop’s Park. The design was developed with Structure Workshop and fabricated by Wyliewood. Photo by Max Creasy. 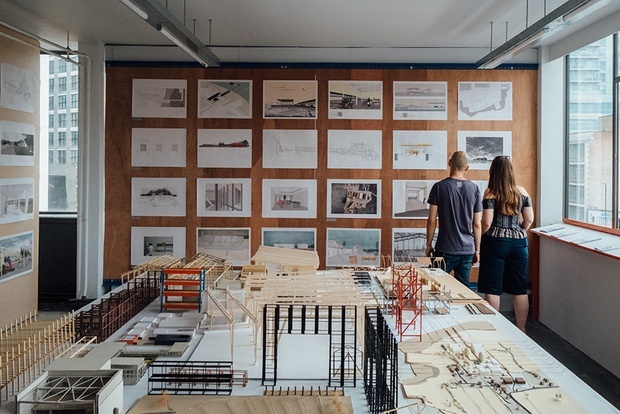 Our students in Studio 8 at the Cass are presenting their work on Manufacturing Landscapes at the Summer Show, which opens today and runs for two weeks. Our students in Studio 8 will present their work for the year so far at the Cass today. 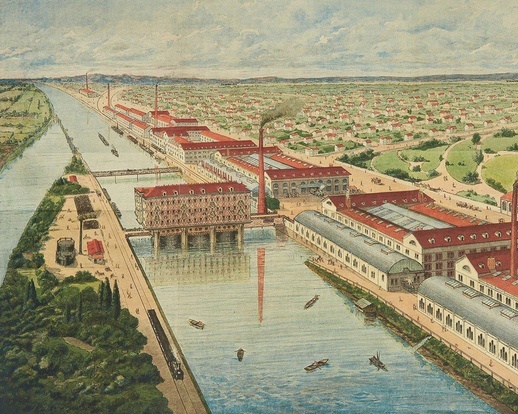 This year we are looking at industrial sites in the wetland landscape of Chichester Harbour and the design of "Model Factories" like the Menier Chocolate Factory in Noisiel outside Paris, which we visited together on the Field Trip last year. 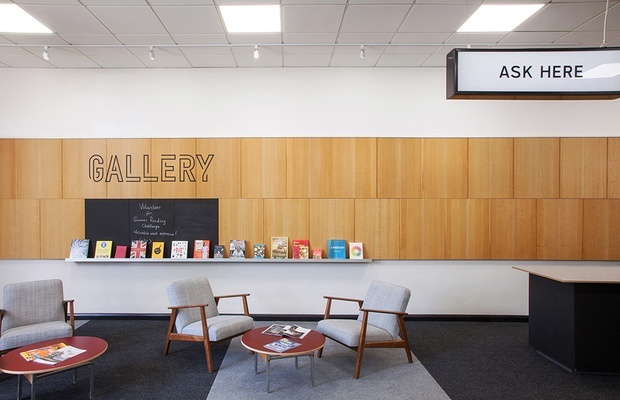 The refurbishment of the Library at Stanmore is featured on the DCLG Libraries Task Force blog today as a best practice Case Study. 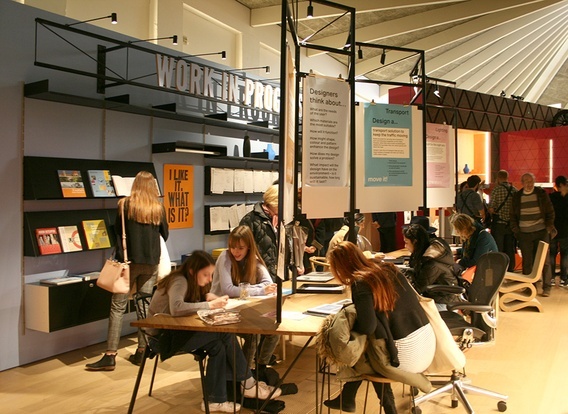 Our project Modern Follies has been included in Work In Progress, the interactive section of the Designer Maker User exhibition at the new Design Museum.